For many families, placing a loved one in a long term care (LTC) facility, such as a nursing home, is one of the most difficult decisions they will make. The changes in family dynamics that often accompany such a decision can create a great deal of stress, guilt, anger, and confusion, particularly for those closest to the person who needs care. It can be an exhausting process, especially if the loved one is resistant to the change. During an already stressful time, it becomes especially important for the staff members of long term care facilities to communicate effectively and empathetically with both the resident and their family members. Ahead, we outline the importance of communicating effectively and establishing expectations with family members, the legal implications of communication breakdowns, and general guidelines for handling complaints from residents and/or family members. The specific circumstances surrounding why and when a person is admitted to a long term care facility vary from one person/family to the next. In some cases, it becomes clear a person is no longer able to care for him/herself at home. In others, the burden of providing a high level of care is too great for family members. 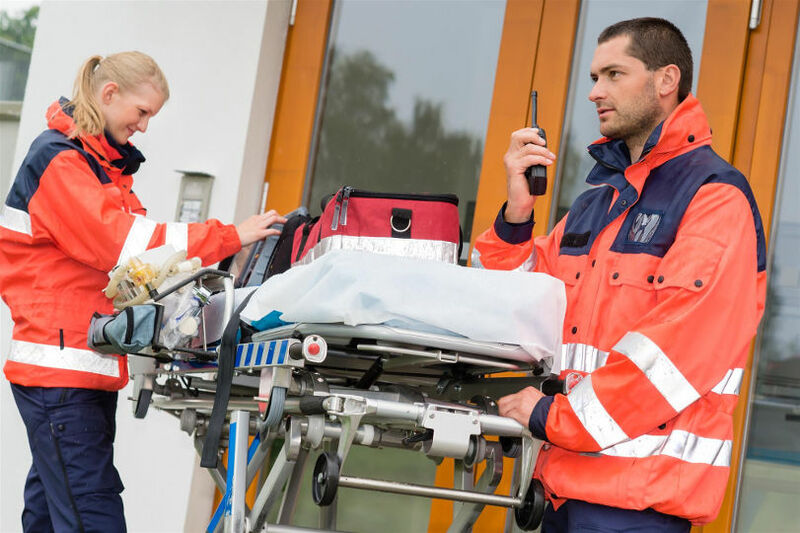 In many instances, a person is admitted to a nursing home facility after an acute medical emergency, such as a stroke, heart attack, or a fall-related injury. In these cases, it becomes especially important for the resident's physician to be forthright and paint a clear picture for the family of their loved one's health status and possible outcomes. When family members do not get the whole picture about the status of their loved one after an acute event, they may have unrealistic expectations about how quickly their loved one will improve (or whether they are expected to improve at all). 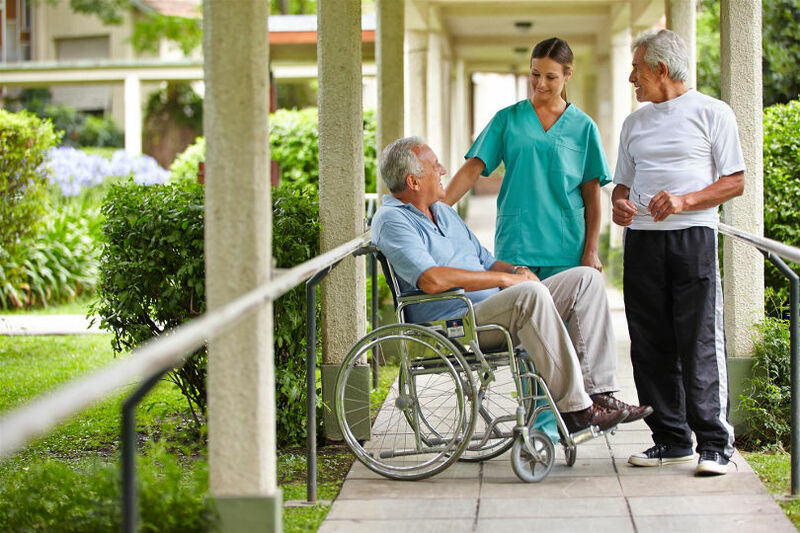 Regardless of why a person enters nursing home care, it's a safe assumption that it's not an easy time for families and, in some cases, the decision to place a loved one in care can be very difficult or fraught with conflict. Long term care facility administrators, nursing staff, physicians, and social workers can ease the transition for residents and their family members by communicating clearly and establishing expectations from the start. Each staff member at the LTC facility should receive appropriate training on effective communication with family members. Periodic training sessions and nursing videos that provide tools for effective, compassionate communication can be helpful. Patients and families will encounter a wide variety of new people on arrival at a long term care facility, from nurses and certified nursing assistants (CNAS), to administrators, to social workers. Administrative services staff members should explain to family members the specific policies of the long term care facility, such as policies regarding the use of restraints, meal provisions, and the general day-to-day experience of residents. They should clearly educate the family about what to expect now that their loved one is in long term care, and they should outline what the facility does to help residents through the process of aging-for example, maintaining one or more dieticians on staff to meet each resident's specific dietary needs, maintaining fall prevention and activities programs, etc. Facilities should never accept patients for whom they cannot provide appropriate care (e.g., mentally-handicapped residents, wandering patients, those with mental illnesses, etc.). Nurses and CNAs , who are most often the primary interface between family members and residents, are responsible for delivering care as well as periodic updates about a resident's condition. It's important for nurses and CNAs to present information plainly, accurately, and sensitively. Communication gaps can cause family members and residents to become suspicious or upset, especially when multiple caregivers are involved. Nurses and CNAs should alert residents and family members about things like laboratory test results as soon as they become available, and they should relay information about bathing, grooming, and cleaning routines clearly. 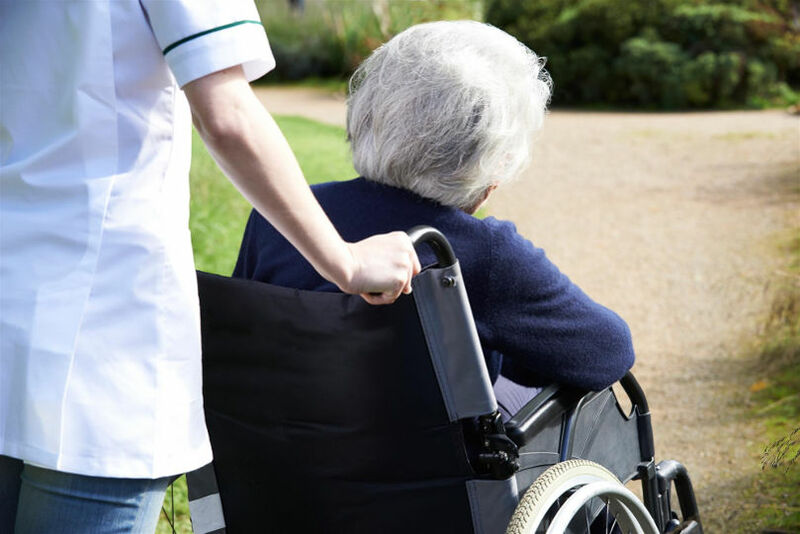 They should contact family members promptly about a resident's refusal to take medication or food, after a fall or injury, if he or she begins wandering or develops pressure ulcers, or about any other change in condition. Social services should consult with family members about issues like cardiopulmonary resuscitation (CPR) and hospital transfers and be aware of residents' medical directives. Staff should communicate clearly with family members regarding decisions about feeding (gastrostomy) tubes, intravenous fluids, blood transfusions, and dialysis. When appropriate, social services staff should also initiate discussions about a family's plans for funeral arrangements and understand the family's spiritual needs. While families may be reluctant to discuss things like funeral arrangements, it's important for social services to understand the family's needs and wishes completely in order to avoid miscommunication surrounding these very sensitive issues. Physician services should communicate a resident's medical status and treatment goals clearly and work to fully understand and address any concerns the family may have about their loved one's care. Physician-family relations are critical, as mistrust of long term care facilities often stems from a lack of contact with on-site physicians, which can make families feel like their loved one's needs are being neglected. Physicians should ensure the family understands the normal process of aging and outline what to expect. For example, as the resident ages or their health declines, they may have more frequent falls, experience hearing loss, food taste changes, increased sensitivity to noise, increased irritability or startle response, etc.-and all of these can be exacerbated by dementia. Physicians should tailor medical advice to the unique needs, feelings, and concerns of the patient and their family. Direct communication from the physician regarding changes in medical status or possible complications is ideal and can help increase confidence among family members. Lack of agreement between family members regarding major decisions about their loved one's medical care (including DNR orders) can present a considerable challenge to nursing home staff; long term care facilities must anticipate these problems and have a plan of action for situations in which they are receiving conflicting information or demands from family members (e.g., a daughter who authorizes DNR orders and a son who does not). Effective communication between medical staff and patients and their families can help reduce unnecessary transfers of residents to the hospital. This is important, as hospital transfers increase the risk of complications for nursing home residents, including the risk of infection. 1 Transfers can also cause considerable emotional distress and lead to episodes of delirium in patients. Furthermore, hospital transfers can also result in confusion among hospital staff about a patient's advance directives. The study also found that providers admitted to sometimes making transfer decisions against their better clinical judgment out of fear of potential repercussions, such as complaints and lawsuits, and because of pressure from family members. In situations where a resident is incompetent, communication between physicians and nursing staff and between clinicians and family members becomes especially important. Nursing and physician staff should ask families to participate in establishing care goals, and families should be filled in regularly on all of the details about a resident's care and status. Federal regulations require that residents and their loved ones be provided with the treating physician's name, specialty, office, address, and phone number. Physicians are required to respond to calls from residents and their family members/representatives regarding medical care. Additionally, physicians should contact families when a resident's status becomes critical, and they should treat family members with sensitivity, compassion, and respect. Increased communication between nursing care staff and family members can help improve relationships and prevent litigation. Despite a facility's best efforts, most will still receive complaints, which should be viewed by the facility as an opportunity for improvement. Complaints can be very revealing-has the facility received multiple complaints about a lack of communication or lack of access to on-site physicians? About a lack of activities for nursing home residents? Another issue? While every complaint may not warrant a change in policy, they should be recorded properly and assessed carefully during periodic reviews to discover where changes are needed. Actively encouraging residents and their family members to share their concerns. Apologizing for inconvenience caused by the incident; note that an apology does not mean accepting blame but, rather, shows residents and/or their family members that their concerns matter and will be investigated. Documenting the complaint and resolving it immediately, if possible. Designating a staff member to investigate and resolving complaints that can't be resolved immediately. Gathering the facts by initiating interviews with the resident and/or their family members and any staff members involved. Formulating a solution that fully addresses the resident/family member's concerns. Following-up; this is a critical step, as it is not uncommon for staff to believe that a complaint has been fully resolved while the resident/family feels their complaint was not handled in a satisfactory way. A common mantra in the service industry is "the customer is always right." Whether this pertains to all situations in long term care settings is a matter of debate since most family members are not trained medical professionals and, therefore, may not be "right" about what is medically best for their loved one. 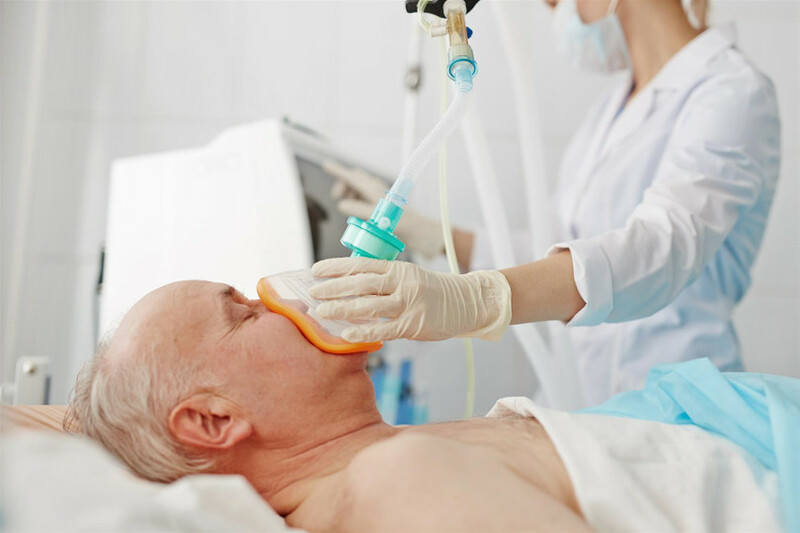 In some instances, a family member's opinion about what is needed may be in direct contradiction with what is clinically best for the resident. Nevertheless, staff members should always listen attentively and objectively to a resident/family member's complaint and quickly address the complaint if the situation warrants it. LTC facilities would be wise to adopt a continuous improvement model and work proactively to uncover problem areas. The reality is that no person and no facility is perfect-even outstanding long term care facilities can improve. Properly setting expectations can lead to greater satisfaction and security among family members and better outcomes among residents. It can also help reduce litigation by family members for potentially preventable grievances. Long term care facilities can ensure their staff members are properly trained to communicate with family members effectively and sensitively by establishing comprehensive procedures and protocols and by holding periodic training sessions using healthcare education videos designed specifically for healthcare facilities, like those offered by Medcom.